Do you love the beauty of water gardens but lack the space for a complete pond? 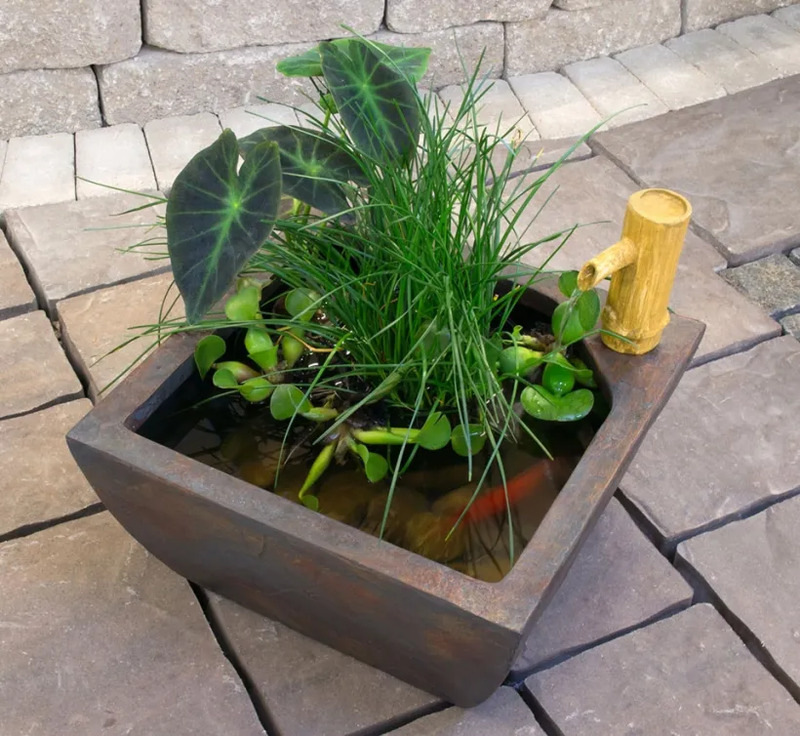 The Aquascape Aquatic Patio Pond Kit makes it simple to have a complete water garden in almost any setting without ever having to touch a shovel. The integrated pouring bamboo fountain makes creating a beautifully planted container water garden easier than ever. Durable fiberglass construction is lightweight, ages like real stone, and never fades or chips. The square shape and textured gray slate finish allow the water feature to blend into a wide variety of settings, completely transforming any outdoor or indoor environment. 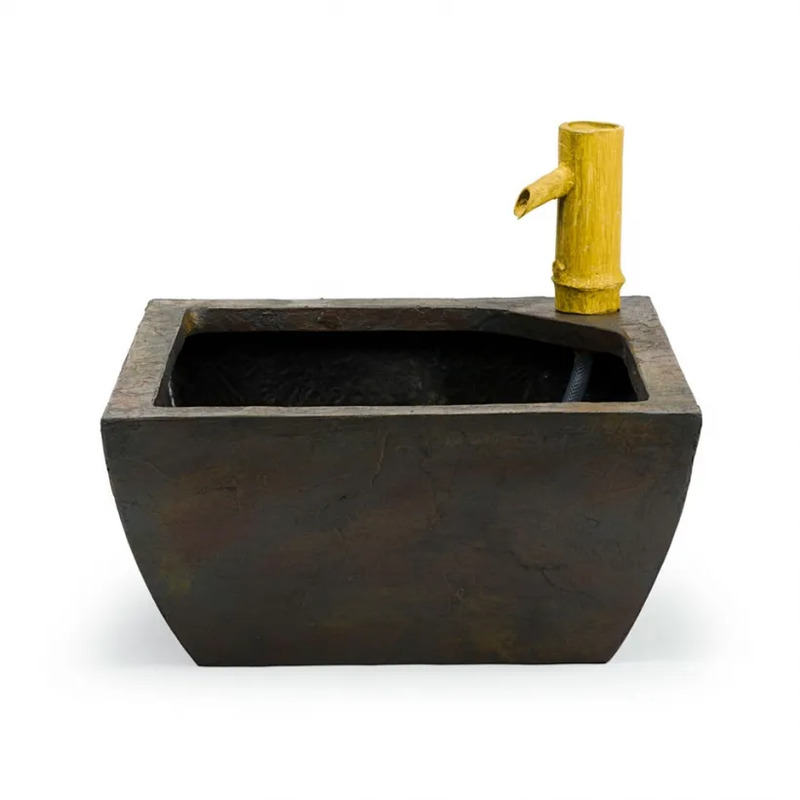 The pond measures 16 inches wide and includes fountain pump and plumbing. Aquascape is passionate about the products we produce, providing unique products, designs, and features that stand above the competition.